So says a new report, in which the department store contends that the NYPD took action alone in the cases of Trayon Christian and Kayla Phillips, who officers confronted on suspicions of fraud after they each made expensive purchases using debit cards. According to the report, in Christian's case, officers were in the control room when the transaction occurred, believed it was too fast and could be fraudulent, and went to stop him before he left, though the Barneys employees said there was no reason to. In Phillips' case, officers asked to watch her on camera, though the sales associate who waited on her had no recollection of anything unusual about her transaction. Phillips was stopped outside the store after an officer overheard a statement she made, but was not arrested. The statement was the only reason cited by the officer who stopped her, according to a Barney's employee who called police to find out what happened. 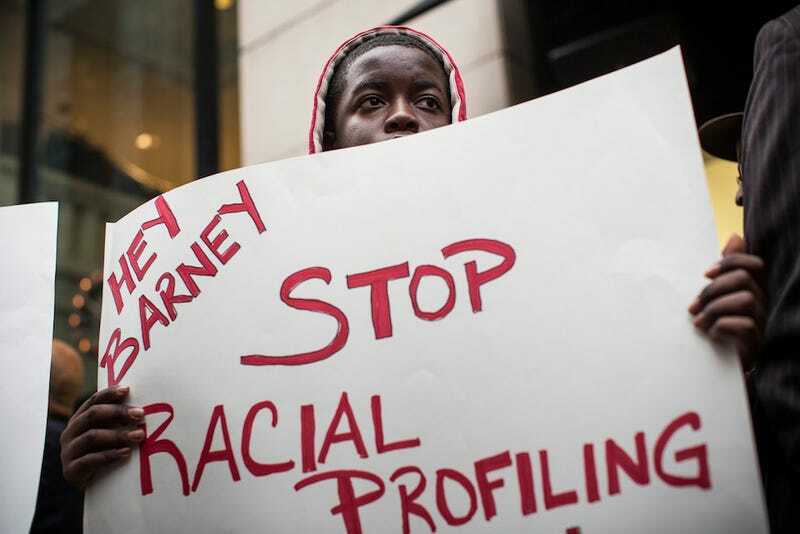 In other words, Barneys was totally being the voice of reason — the police officers went rogue, more or less. Which could be a convincing explanation, except when you factor in the fact that Barneys commissioned this report themselves. So it's not necessarily an objective account of events. And though they hired Michael Yaki of the U.S. Commission on Civil Rights to conduct this review, the attorney didn't interview any police officers involved for their side of the story. NYPD internal affairs officers are investigating both encounters and the department has given explanations that differ from Barneys. According to police, in Christian's case, officers were at the store on an unrelated arrest and were alerted to his presence by store employees. In Phillips' case, officers were investigating someone else, saw her, then spoke to a cashier who said there was no name on the card she had used to buy the bag, and the cashier didn't ask for identification, according to police. An officer overheard a statement and then stopped her based on the total circumstances, police said. See? The NYPD was just trying to do Barneys a solid. Who to believe? Maybe a broader review of Barneys policy, which the store promises at some to-be-determined date, will bring definitive judgment to this back and forth. Image via Getty, Andrew Burton.